Meet six local rising stars of the surf. There’s no question that the next big thing in surfing will come out of the Newport/Mesa area. Whether it’s a brand, an entrepreneur, a designer or the next hot young surfer, you can’t ever count out Velcro Valley; the area has deep roots in the sport of surfing, so it’s no surprise that some of the best young surfers in the world live here. 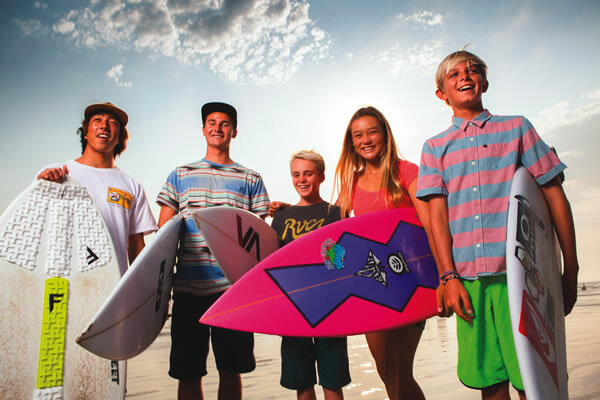 With a booming surf industry and more hype than ever on today’s young surf stars, the sky is the limit for Newport’s next wave of surfers, including rising stars Tyler Gunter, Meah Collins, Colin Moran, John Mel, Andrew Doheny and skimboarder Ken Suzuki. 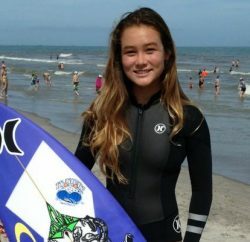 Surfing runs deep in the veins of 13-year-old Meah Collins from Costa Mesa. Her grandfather Lance Collins was a hot local shaper and founder of Wave Tools Surfboards, and her dad Richie rode them to professional surfing stardom. Some say it takes a lot of smarts to win a surf contest, and no one knows that more than Costa Mesa wunderkind Colin Moran. 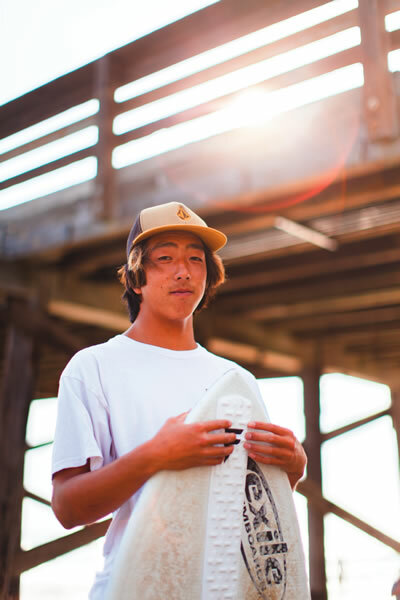 The 17-year-old recently won the South Coast League individual surfing title representing Newport Harbor High School. Colin started showing up around Blackies about a decade ago. His hair was long and blonde—the epitome of the classic surf grom. 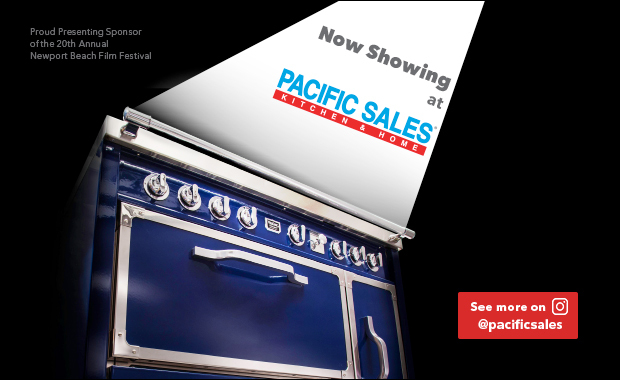 He’s had great success in his amateur career, being a two-time member of the PacSun USA Surf Team. His surfing is fast and explosive, and he has the full bag of tricks. Being part of the USA team means trips to faraway countries, like his most recent to Nicaragua for the Da Kine ISA World Junior Surfing Championships. Though he didn’t win the gold, he returned with a solid head start to what looks to be his best summer yet. Twenty-year-old Andrew Doheny began his assault on amateur surfing by winning everything in sight. At 10, he broke NSSA surfing record after record and made enough noise in the surf world that Volcom took him under its wing and sponsored him. He’s been a part of the Volcom family ever since. Like a lot of kids in Newport, Andrew grew up getting pushed into waves at Blackies by his father. By the time he was 5 he had the same look in his eyes you’ll see today: eagerness for that next wave, that next win. 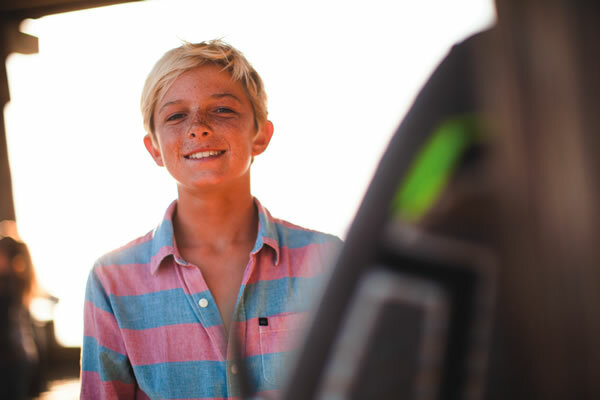 Since his grommet successes, he’s had a great start to his professional career, winning ASP Pro Junior events and making finals in some big World Championship Qualifying events. He currently sits at No. 53 in the ASP world rankings—making him one of the most successful pro surfers from Newport Beach in two decades. In terms of recognition worldwide, Andrew is that kid—he’s landed magazine covers, big-dollar contracts and has won just about every amateur contest he’s entered. You might think a surfer who gets a paycheck would be under a lot of scrutiny, and Andrew is, but it’s not a “live or die by the wave” mentality. Although his supporters would like to see him make more podiums in the pro ranks, it’s not mandatory. If you ask us, it’s more like leaps and bounds.